She is not the other side of the issue! The woman had approached our group, about twenty of us, as we held a silent vigil outside a concert hall in Columbia, South Carolina. She began to yell at us, wagging her finger, one hand on her hip. This experience (and others like it) is what compelled Candace Chellew-Hodge to write Bulletproof Faith. Candace, a United Church of Christ minister and writer, decided it was time for others to learn from the hard lessons life has taught her. In the book Candace pulls no punches about what is important for the LGBTQ Christian to put in the tool box to protect one's faith. The tools she gives and guidance she provides are not only compelling but life saving. LGBTQ folks know that from the moment we come out of the womb there is a target placed on our backs. Add the word “Christian” to the repository of labels and the target only seems to get bigger. In Bulletproof Faith Candace offers ways not only to engage the hatred, but she also offers ways to learn to disengage from it. Many times in discussing our faith we get drawn into discussions that initiate an endless loop of negativity, creating a recipe for disaster. From offering advice drawn from Xena the Warrior Princess to the story of Dotti and Roby who create a grace-filled relationship with Pastor Jay, Candace shows how one can learn not only to dodge bullets, but how to build bridges to unlikely destinations. One tool I found most helpful was found in the section entitled, "Spiritual Survival Exercise: Surrender Before Battle." In this section Candace walks the reader through a meditation designed to help surrender past hurts, seeking to surrender to God before battle occurs. This section, for me, was powerful and offered the kind of hope we find upon entering a deep relationship with Abba. She offers no quick solutions, but reminds us of the importance of surrender, and how a bulletproof faith is founded on that surrender. This book will be an important piece of the puzzle for many in the LGBTQ community who are on the journey toward wholeness. It should be noted that this book is not a book for someone who may be seeking to become knowledgeable in queer theology, or about defense strategies against the “clobber verses.” This book is just a part of the puzzle. It will help one to learn to save one’s energy by not being baited into the typical kinds of arguments, how to build bridges, and most importantly how to protect the truth within you. I cannot express how potentially important this book could be to LGBTQ Christians. Too often we feel the need to be defensive, to have a chip on our shoulders; and reading this book can help stop this pattern. It teaches us not to be doormats, but to be proactive--for ourselves, for our faith, and for the community of Christ followers. Chellew-Hodge, Candace. (2008). Bulletproof Faith: A Spiritual Survival Guide for Gay and Lesbian Christians. San Francisco: Jossey-Bass. 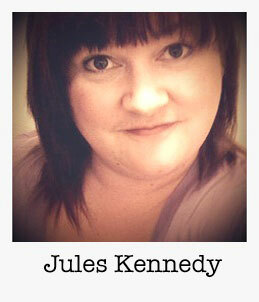 Julie Kennedy lives in the bootheel of Missouri. She works with special needs students and a full time student at Southeast Missouri State University. She is a constant spiritual wonderer with a never ending love for the gathering of Christ followers.